Jan and Tim built a digital olfactory platform for industrial use cases. The technology allows modified carbon nanotubes to react in highly sensitive ways to specific compounds. Take ripening apples, for example. C2Sense has a sensor product that detects the fruit ripening enzyme ethylene at low parts per million concentrations in the air. Their first paying customer, AgroFresh, is relying on C2Sense to ensure that the millions of pounds of apples they store are preserved correctly. The real-time, highly accurate data stream from C2Sense is something AgroFresh cannot get elsewhere. Their next application will be enabling similar data streams at poultry farms. By placing a sensor in the chicken growout houses, dangerous ammonia levels can be detected and addressed immediately. Apples and chicken houses are just two use cases of potential thousands. These sensors can be designed to detect almost any compound: ammonia, hydrogen sulfide, or other toxic gases that might harm workers in industry as well as many gases that are relevant for food and agriculture. By making scents known and trackable by software, we can better understand the world around us. This will reduce food waste, improve the safety and health of workers, and so much more. Jan has always wanted to build something meaningful that would have a positive effect on people’s lives. Digitizing olfactory information excites him because the impact is huge. 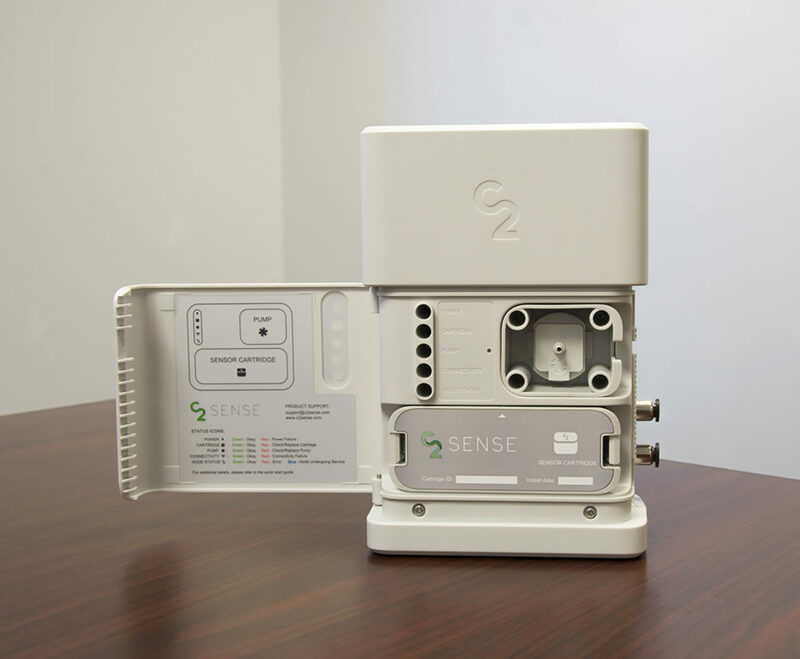 Pulling in technology from chemistry, material science, physics, and electrical engineering, C2Sense’s cross-disciplinary product will play a big role in dozens of industries in the future. “Tim and I are fortunate that technology, market interest, and big developments like the growing interest in Internet of Things are aligned now and will greatly help build C2Sense,” Jan says.